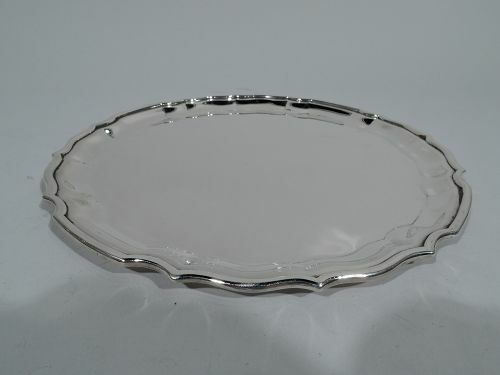 Georgian sterling silver tray. Made by Reed & Barton in Taunton, Mass. 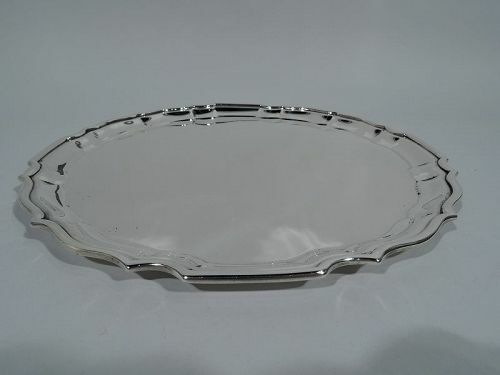 Round with molded curvilinear ogee piecrust rim. A nice traditional piece. Fully marked including maker’s and retailer’s (JE Caldwell) stamps and no. S816. Very good condition. 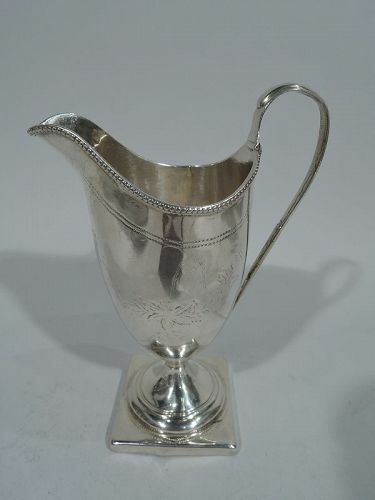 Neoclassical sterling silver creamer. Made in London in 1791. Tapering body with helmet mouth, high looping handle, and raised foot mounted to square base. Beading and pointille. Engraved garland and two-letter script monogram. nicely “sunk” and rubbed. Interior has visible hand hammering. Fully marked. Maker’s initials TS (possibly Thomas Streetin). Good condition with attractive age-related wear. 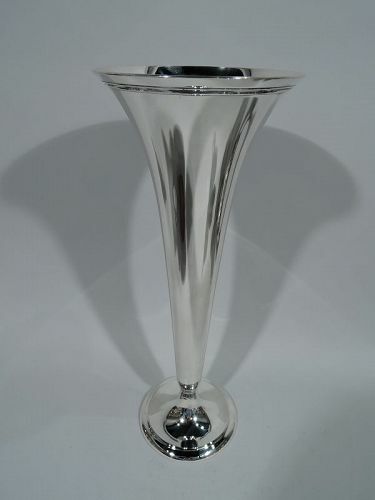 Striking Modern sterling silver trumpet vase. Made by Tiffany & Co. in New York. Cone mounted to stepped and raised foot. 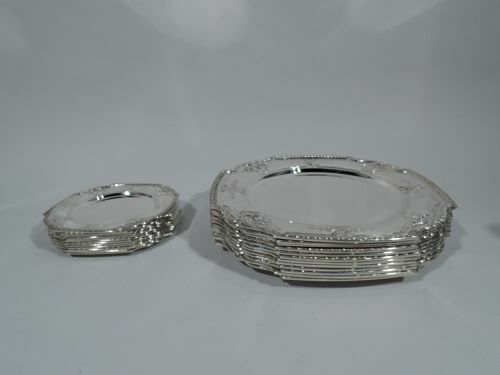 Ribbed rim band. Hallmark includes pattern no. 18594 (first produced in 1913) and director’s letter m (1907-47). Very good condition. 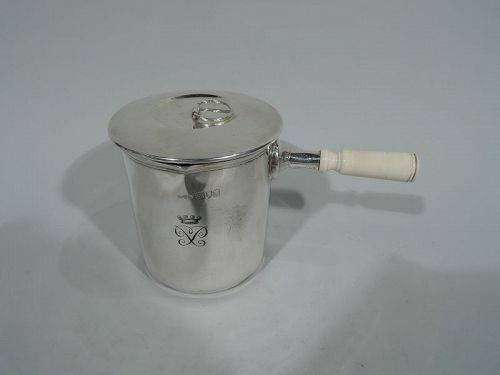 George V sterling silver portable cooker. Made by A. Barnett & Sons in London in 1915. Drum form with small spout and carved and threaded handle. Snug-fitting cover with loose ring finial. Burner, fuel canister, and stand. Engraved armorial was a poignant reminder of home. A fabulous Empire-era camping accessory. Very good condition apart from a few minor pings from being knocked around the world. 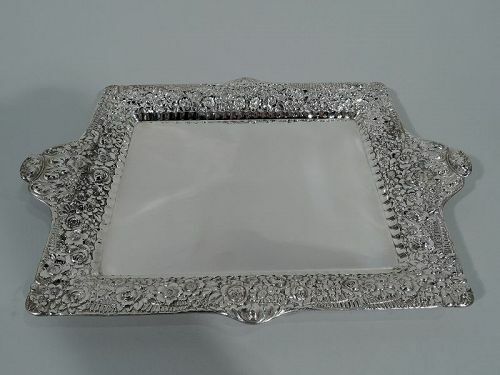 Victorian sterling silver tray. Made by Tiffany & Co. in New York. Plain rectangular well with scalloped border. 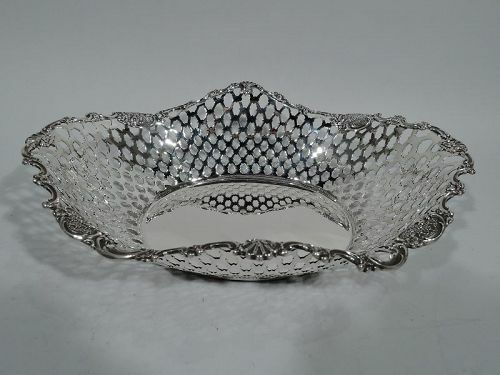 Curved sides and flared rim with shaped ends and dense floral repousse. A pretty contrasting piece. Hallmark includes pattern no. 5140 (first produced in 1878) and director’s letter M (1873-91). Very good condition. 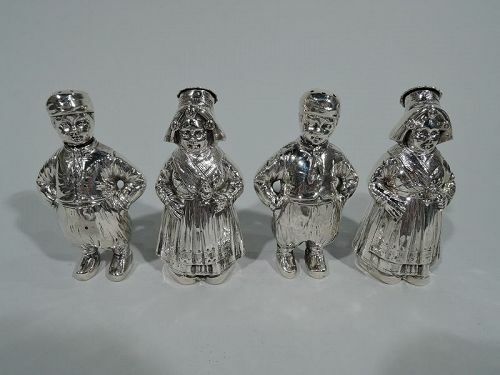 Wonderful figural sterling silver soup tureen. 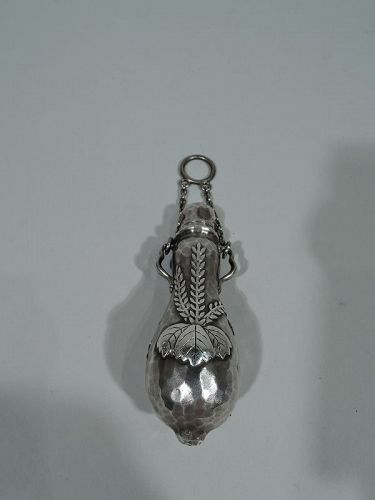 Made by Buccellati in Milan. 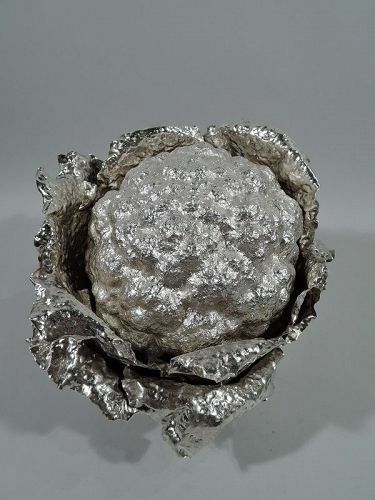 Cauliflower form with leaf-wrapped bowl and head cover. The cauliflower motif has been used on soup tureens for centuries. This version has all the irregularities and nubiness of a real vegetable. Post-1967 hallmark. Excellent condition. 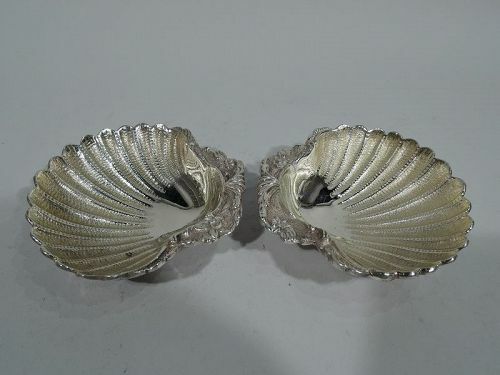 Pair of 800 silver scallop shells. Each: Stippled and pointille flutes and tooled flowers and scrolls. Interior gilt washed. Two ball supports. A traditional form with good heft and texture. Italian hallmark (1944-68). Very good condition.